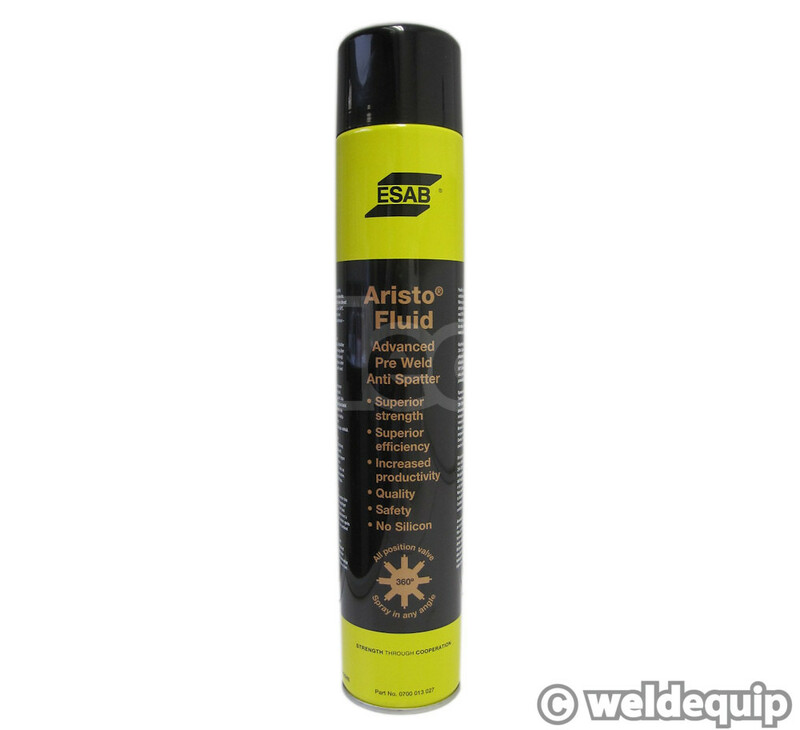 Totally solvent free, with no dangerous or harmful substances used, ESAB Pre-Weld anti spatter spray still offers unrivalled weld spatter protection. It does not evaporate off the work piece as with water based fluids, yet gives extraordinary protection and can be painted over without any further preparation. With a patented valve release system 99.9% of the contents are used, making it extremely efficient and cost effective when compared to conventional aerosol sprays. You won't use anything else once you've tried it!